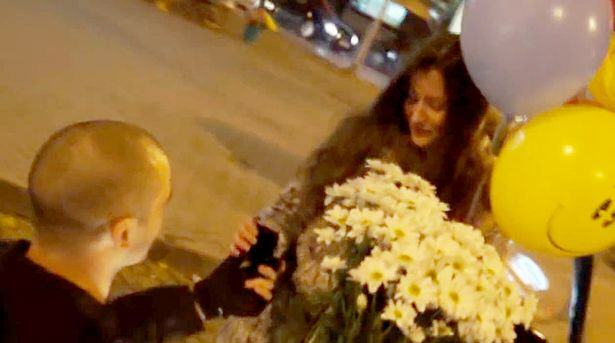 Being involved in a terror alert is probably not the way most people would like to be proposed to, but a Russian cop decided this was the perfect way to pop the important question… but it seems it has backfired. The lad and his riot squad buddies could be facing the sack after staging a fake terror alert on his girlfriend. One of the ‘attackers’ then goes to the boot of the car and takes a load of helium balloons out of it before handing them to the young woman. Confused? Yeah, so are we. However, the policemen’s superiors weren’t too impressed by their antics and Russian TV Channel REN TV confirmed senior officers were enraged after seeing the video. 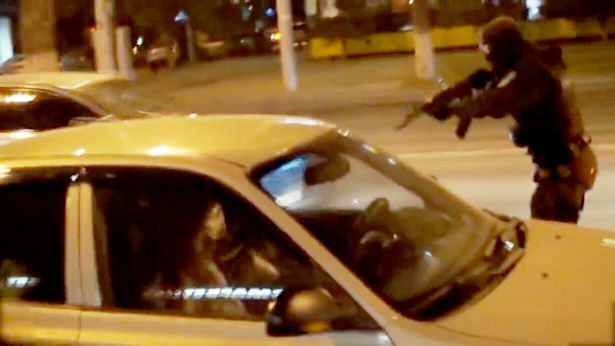 The clip – which was filmed in the south-western city of Rostov-on-Don – came to their attention after it was posted on Russian social media network VKontakte. Whatever happened to simply just getting down on one knee…?